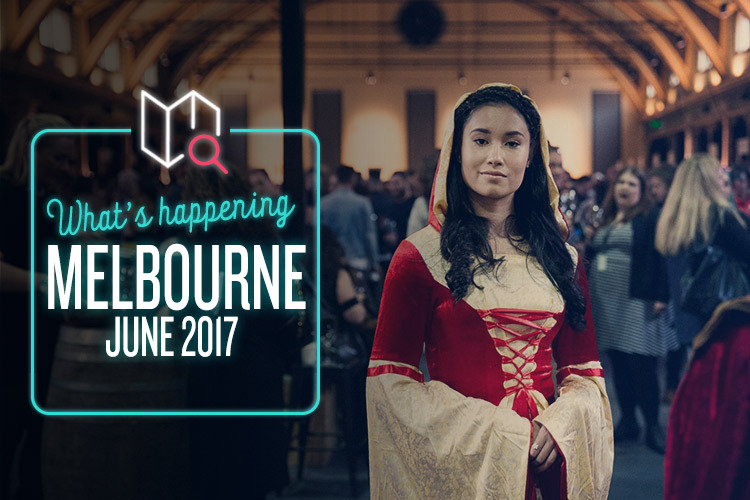 Look, we don’t mean to brag, but Melbourne is pretty much the coolest city ever, right? The events going on this June pretty much prove it. Let’s take a closer look, shall we? If there’s one pairing that’s been left untapped for far too long, it’s aquariums and discos. Thankfully, Melbourne Sea Life Aquarium is bringing them together as they should be for a night of dancing to the latest hits and old-school classics while admiring a floor-to-ceiling display of some of the world’s most spectacular marine life. This disco is of the silent persuasion, meaning all attendees will be given headphones to enjoy the party anthems without disturbing the aquatic animals. Plus, it means you can sing along to all favourite tracks and no one else will be able to hear you. Win-win! If you’re into fashion, get excited. And if you’re into vintage fashion, get really excited, because Round She Goes Fashion Market is bringing 60 stalls of pre-loved designer labels and quality vintage goods to Coburg Town Hall. Each of the stallholders is handpicked, so you’ll find the cream of the crop in vintage fashion, plus size fashion, and handmade jewellery, fashion and accessories. If you’re a bit strapped for cash, there will also be a selection of wardrobe clear-out stalls where you can nab a stylish bargain. You might have to a dig around for a couple of hours to find a gem, but that’s half the fun, isn’t it? Friends, countrymen. Wine is coming. Game of Rhones is all about the wine varietals of the Rhone Valley, with 100 wines ready for your tasting pleasure. Think Grenache, Shiraz, Mourvedre and more from some of the best wine producers in Australia and beyond the Wall. You’ll definitely work up an appetite after all that wine tasting, but don’t worry; you’ll be able to feast on a smorgasbord of smoked meat from Burn City Smokers and Fancy Hanks, juicy burgers from Mr Burger, and a hearty selection of sustenance from Meatsmith and Yarra Valley Dairy, too. Beautiful Darkness is all about celebrating that which comes only once a year: the winter solstice. Held at beautiful CERES Environment Park, a not-for-profit sustainability centre in East Brunswick, you’ll be able to celebrate the longest night of the year than with an enchanted evening of delicious food, good music, and fire. A ceremonial fire to be exact, which you can sit by and enjoy a warm cup of mulled wine or chai. Sounds pretty good to us! Tickets are $19.50 for adults and $5 for kids (under-3s get in free), so snap ‘em up before they’re gone.